We did all the hard work for you. This diaper cake is almost ready, all you need is just add special touches and it will be a shower centerpiece! 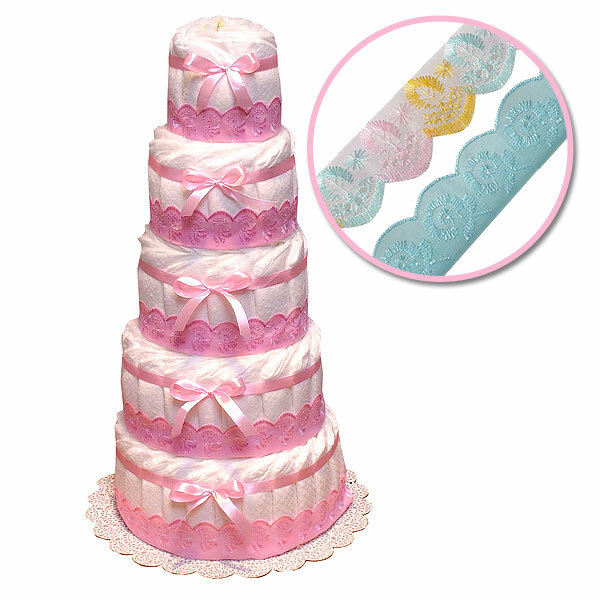 You can have this diaper cake in pink (as pictured), in blue and multicolor (pink, blue, yellow embroidery on white fabric).